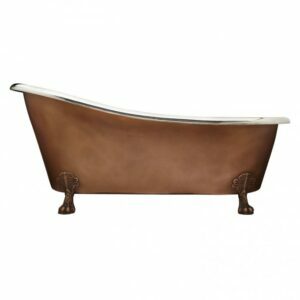 This hammered clawfoot copper double slipper tub is a true example of luxury with its solid copper claw feet with a hammered exterior and interior. 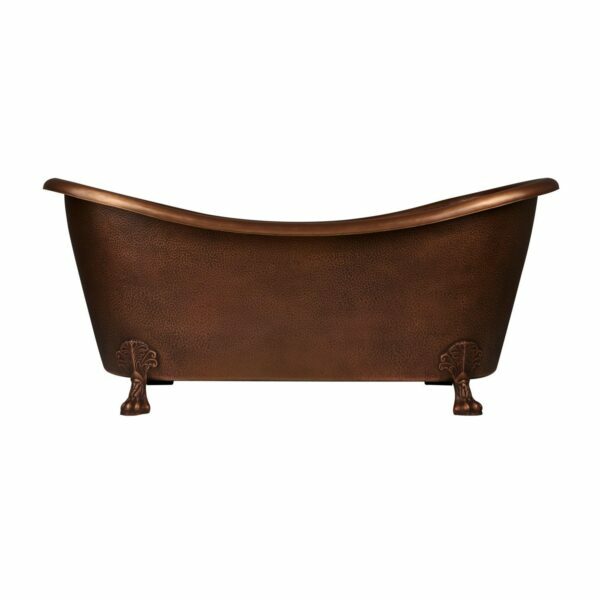 The beautiful copper antique finish has an earthy hue and is easy to maintain. 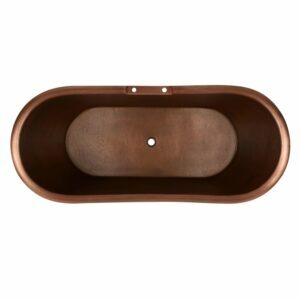 66″ Dimensions: 66″ L x 31-1/2″ W (front to back) x 28-1/2″ H (± 1″). Water capacity without overflow: 63 gallons. 72″ Dimensions: 72″ L x 32″ W (front to back) x 29″ H (± 1″). Water capacity without overflow: 91 gallons. Copper tubs are handmade and therefore unique. 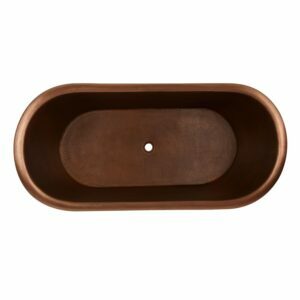 Expect slight variations in finish and dimensions (± 1″).